This is sort of a strange “The Best…” list. I really haven’t voluntarily used rubrics (except in one classroom situation where I find them incredibly valuable, and which I’ll talk about in a minute). I generally just don’t like them, but I can’t really articulate why. And, though I’ve read a fair number of pieces out there critiquing them, I can’t say I’ve found any arguments that really resonate with me (of course, I also have to use the International Baccalaureate’s Theory of Knowledge rubrics for assessing that class’ final essay and oral presentation). I’d love to hear people’s comments about them — both pro and con. As I mentioned, there is one case where I do use them, and I’ve written extensively about it at My Revised Final Exams (And An Important Lesson). In this case, I use an “Improvement Rubric” where students can compare their writing at the beginning of the year with what they can do at the end of the year, and measure their improvement in several specific areas. Based on that self-assessment, they then determine in what areas they would like their next year’s teacher to help them on. That is one powerful lesson. 1) Review a short, simple criteria for a successful project in writing and in pictures & then have students put it in their own words and in pictures. 2) Show lots of good models. 3) Give students lots of individual feedback, as well as using the inductive learning process of concept attainment to help the entire class. 4) Identify students who are doing specific things well, and pair them up with others who are having challenges in those areas so they can help them. That’s the process I use for extended student projects. I used a shortened version for less involved ones. You might reasonably be wondering why I am posting this “The Best…” list if I’m not a fan of the usual kinds of rubrics teachers use. A reasonable question, and I have two responses. One, some of the publisher’s reviewers of my upcoming book, Student Self-Motivation, Responsibility, and Engagement:Practical Answers to Classroom Challenges, said they’d like to see rubrics for the lesson plans there. I’m doing all I can to wiggle out of creating many of them, but I did thought it would be useful to be able to refer readers to easy online rubric-makers for those who might want them. And, two, I thought it would be a good opportunity for me to stretch my thinking a bit on the topic by inviting readers of this blog to share their own thoughts. Of course, Kathy Shrock’s Assessment Rubrics is the “Mother” of all rubric resources. If it’s not on that page, it’s probably not that useful (a few of the links there, though, might be a little outdated). R Campus has an impressive Rubric Gallery with thousands of free rubrics available. Reframing The Rubric is a very thoughtful article worth reading. Feedback is welcome — both on additional resources and your own thoughts on the use of rubrics. How To Use A Rubric Without Stifling Creativity is by Grant Wiggins. Show Us Your #SinglePointRubric is by Jennifer Gonzalez. That’s Not a Rubric, and You’re Using It Wrong: 5 Ways to Clean Up The Mess is by Angela Stockman. Rubrics: What My Students Had to Say About Them is from Crawling Out Of The Classroom. 4 Easy Tips and Tricks for Creating Visually Engaging Rubrics is from Edutopia. You might also be particularly interested in The Best Resources For Learning About Formative Assessment. Assessment – it’s all in our heads is by Andy Tharby. Calling for a “Timeout” on Rubrics and Grading Scales is by Rick Wormeli. How Feedback Can Be More Kid-Friendly is from Middleweb. Beyond The Bullet: Do Rubrics Corrupt Thinking? is by Heather Wolpert-Gawron. 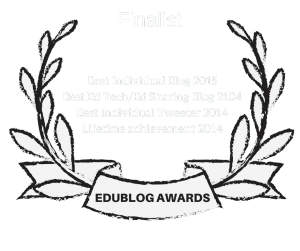 Have a different perspective on rubrics? 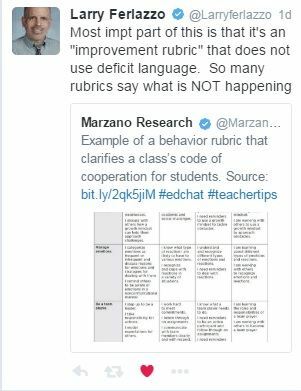 Why I Threw Away My Rubrics is by Jennifer Hurley. New Direction in the Development of Rubrics is by Thomas Guskey. Meet the #SinglePointRubric is by Jennifer Gonzalez. 6 Reasons to Try a Single-Point Rubric appeared in Edutopia. Am thinking about what this means for me as I work with my 5th-graders. 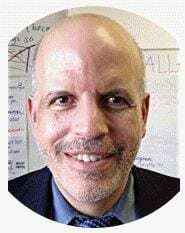 4 Fantastic Rubric Tools for Google Docs is from is from Eric Curts. Rubric Repair: 5 Changes that Get Results is from Cult of Pedagogy. Roobrick is a new online tool for creating rubrics. I agree that students need short, simple criteria that they put into their own words. I also agree that they need to experience good models, but I think it is equally helpful to have a defined criteria of work in need of improvement (the low end of the rubric), with examples and have the students identify what can be done to succeed. Generally, discussing and learning from mistakes is what helps the majority of students, so being able to identify a mistake is important. When students begin to identify good and bad, and articulate feedback that praises or constructively improves their work, an awareness of the importance of critique and feedback spreads to the whole class. This is where I see the most involvement and motivation in my classes. The most important thing we can do is ask every student to read, view and listen to each others work and publicly give feedback. Giving feedback is also a skill that is improved in the process. Thanks. Good as usual. I like analytic rubrics more than holistic because they provide more specific feedback to students. I really like Rubistar. How would you describe the difference between the two? Analytical scales help teachers assign scores for different components of performance. For example: vocabulary, grammar, content, strategies. Holistic scales provide scores for students’ performance as a whole, like the TOEFL writing score. I use rubi star all the time for projects, and papers. I make the rubric as I’m writing the instructions. It makes me stop and think about what I want to see as a show of mastery. It also gives me a solid framework for explaining to students and parents why the work earned the grade it did. I often have the kids grade their own work, and one classmates before I grade the work. They grade much harder than I do. I agree with Kimberly. I write the rubric at the same time as I write the directions. Students need to know the expectations and how they’re going to be graded. Rubrics also remove a lot of grading subjectivity. My only problem with a rubric is that it can hinder creativity in that many students will do the minimum to get the grade they want. I try to empower them with choices and offer extra credit for “going above and beyond.” Some may say that the “going above and beyond” requires another rubric in itself. I use rubrics during projects. Giving the students a rubric at the start lets them know what is expected. It then becomes a checklist of sorts for them to refer to during the project. By the time we get to the end of the project, most of the students earn 4s since they have referenced the rubric all along. So, rather than use it as a real grading system, I use it as a “What is expected” list. Enjoyed reading what you had to say, as usual. I generally prefer not to use rubrics and instead like to personalise feedback to meet the needs of the individual. However, as a team we use very detailed rubrics to assess writing in exams for years 7 and 8 students. It helps with the moderation process. I’m a vocal advocate for rubrics and started a wiki to explore what makes a rubric a quality one. The challenge, Larry, is that many of the sites you linked to contain documents that are rubrics in only the loosest sense of the word. It’s been my experience that when people are uncomfortable with rubrics it’s often because their experiences have been with scoring charts, not rubrics that truly convey to students expectations around quality. Rubrics are a tool to communicate quality and with a few exceptions, you cannot count quality. So – if a document contains text like “has 3 errors”, “uses 2 examples” – it’s a beginning rubric, not a quality one.